Best Corn on the Cob Recipe! 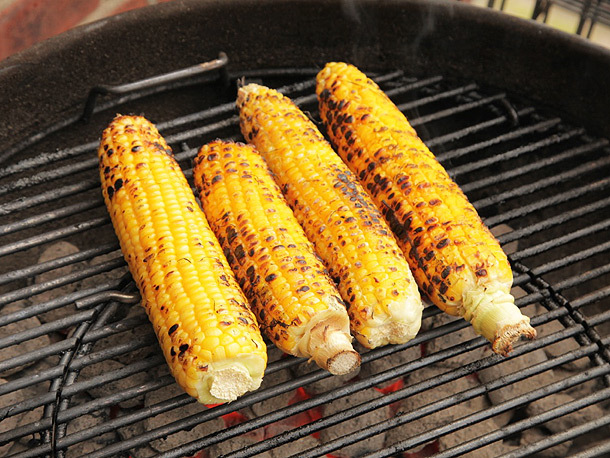 Corn on the cob is a key part of summer. No summer can be complete without it. The challenge is how to get the best flavor with minimum effort. It IS summer, after all. Buy the freshest corn you can find. Minutes count here. Remove all of the husks and as much of the silk as is easy. Turn the ears regularly, say every three to five minutes, and hit them with more spray grease. Remove from the grill when done, say about 12 minutes total. The picture is stolen from Serious Eats website because our ears did not have any kernels left by the time this post was contemplated and the need for a photo recognized. Important: if you follow this recipe at the Catnap, remember to follow all the restrictions about where to set up the grill and grill limitations. Fire is a REAL hazard on Bogue Banks!